We can offer a Sliding door or hinged door. These are designed to putting barriers to cold and heat. 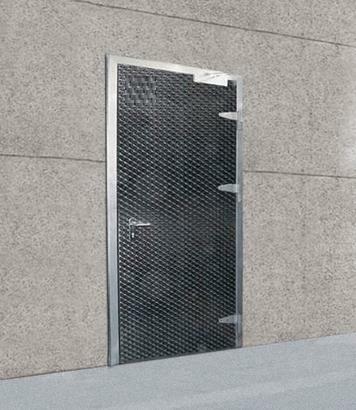 Sliding cold room door resistant to fire for 60 minutes, for chiller or freezer rooms. Panels constructed with insulating and fire resistant materials, reinforced around the perimeter with a stainless steel structure.Combining the highest hygiene standards with thermal insulation, with an excellent performance against fire. Automatic or manual option. Putting barriers to cold and heat.Fire resistant cold room hinged door, with a 60 minute classification, suitable for the food industry. Hinges and handle in stainless steel and door locks.Laboratory certification in accordance with standard EN 1634-1. The BDM RF60 door provides a barrier against fire, together with a hygienic design, making it the best option for the food industry. This is achieved thanks to the combination of food safe quality and fire resistant materials.